. 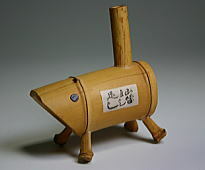 inoshishi いのしし、猪 wild boar - kigo . 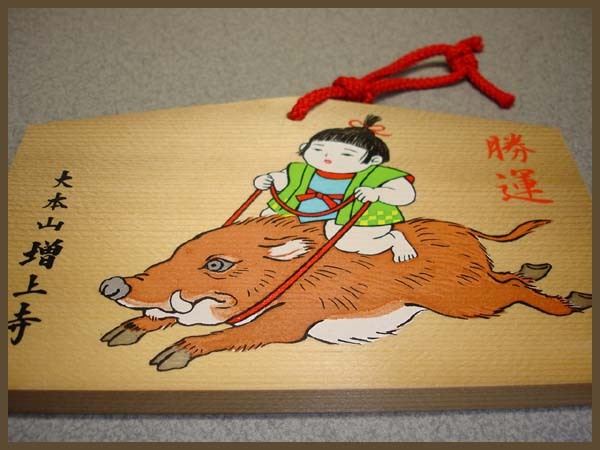 and his messenger, inoshishi 猪 the wild boar .
. Marishiten 摩利支天 Marishi-Ten on a boar .
. Tengu 猪 - 天狗 と伝説 Legends about wild boar and Tengu .
. inoshishi 猪と伝説 Legends about the wild boar, Wildschwein .
. Inoshishi Daruma - The Year 2007 ! . 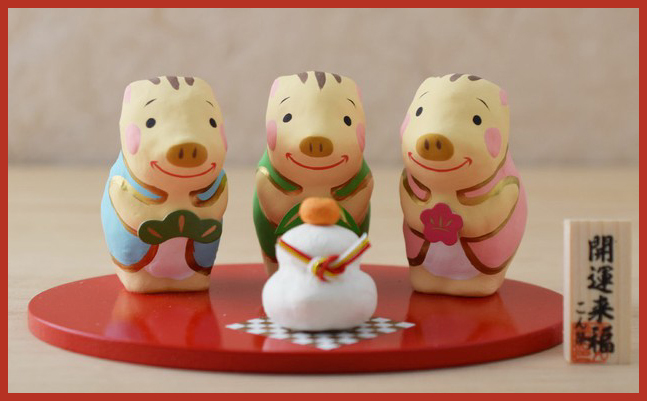 - CLICK for more clay bells 猪土鈴 ! 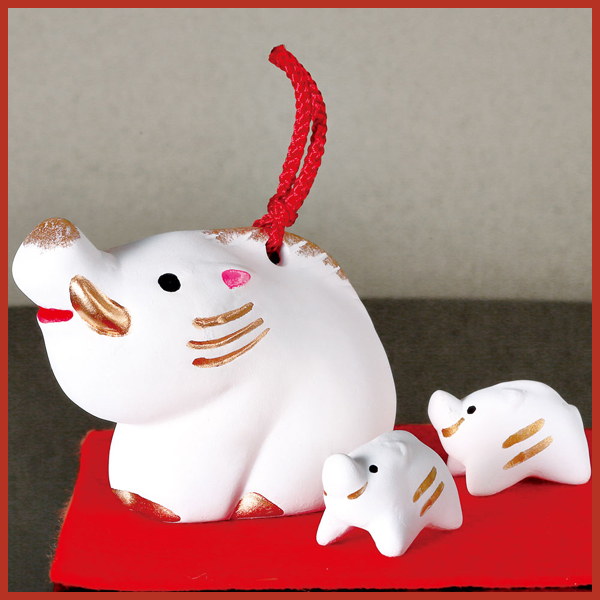 - CLICK for more kokeshi wooden boars ! 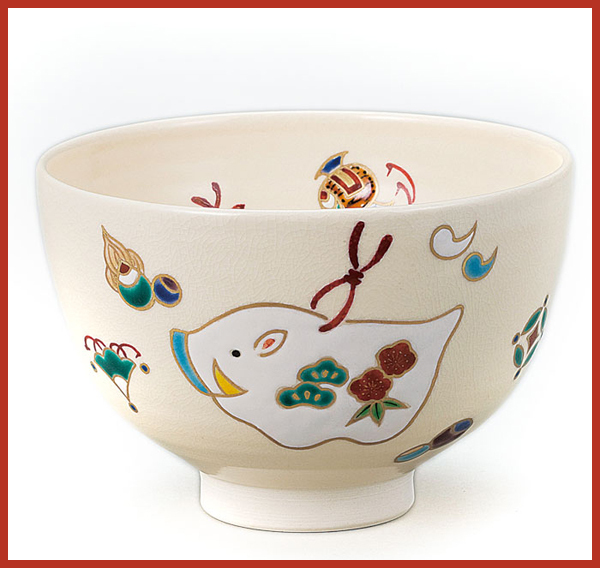 - CLICK for more chawan tea bowls !
. 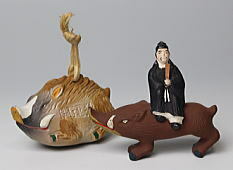 amulet for 足腰お守り strong feet and legs .
. kitte 切手 stamps with folk toys .
. kokeshi 猪に乗る福達磨こけし Daruma with mallet riding wild boar .
. komainoshishi, koma inoshishi 狛猪 guardian wild boar .
. ema 絵馬 Votive Tablets and Prayer Boards .
. . . CLICK here for more EMA Photos !
. . . CLICK here for more Photos : 猪よけ　お守り !
. 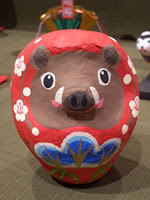 Inoshishi Daruma いのししだるま .
. uri no ki no inoshishi ウリの木の猪 wild boar from Alangium wood .
. Inoshishi - The Year 2019 on facebook ! Join ! . 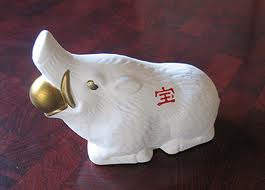 and inoko 亥の子 / イノコ the "young wild boar"
. 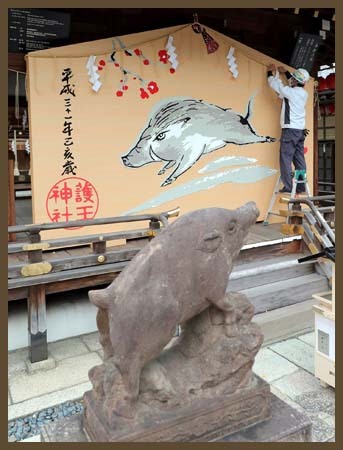 inoko, i no ko 亥の子 (いのこ) young wild boar .
. Mount Ibuki 伊吹山 Ibukiyama . 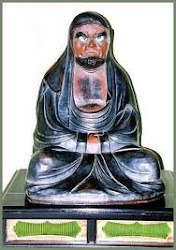 Yamato Takeru defeated the boar, but not before the boar showered him with poisonous mist. 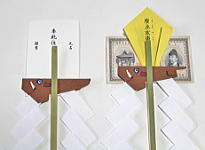 He went to Isame no Shimizu in Samegai whose waters healed him. Then he went on to Ise, but died soon afterward.